Digital line testing devices for the copper communication network for digital service. This remote unit will work with the RD6000 test set. The Teletech TX125 is an essential and practical tool for all telecommunications technicians. 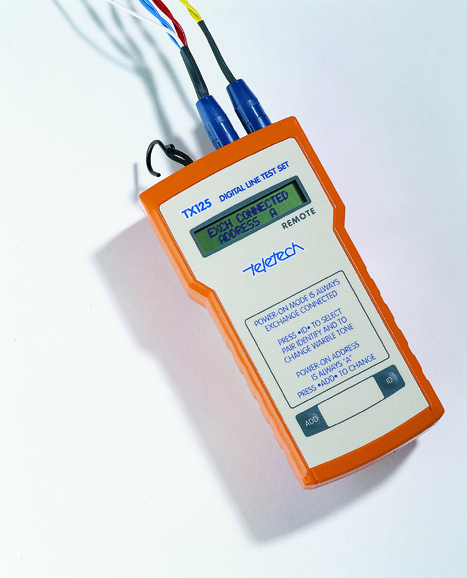 The TX125 is specifically suited to testing cable for the digital services network. 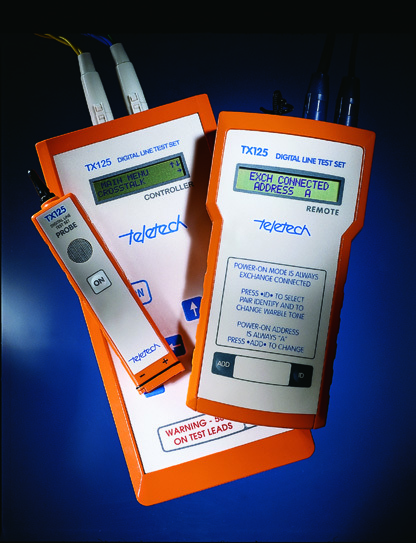 The TX125 consists of a Controller, Remote, and a signalling probe. The TX125 has the ability to remotely open circuit and short circuit the line using signalling over the line under test. The TX125 connects the line through to the exchange after testing is completed. •	A clock and calendar keep track of when individual measurements are recorded. •	An unassisted operator working from the far end (up to 20 kms from sender to receiver) to remotely signal open and short circuit, with no time-out restrictions for unlimited periods, over the pair under test.